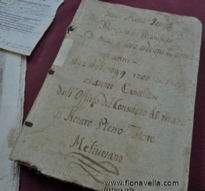 Amongst its various significant documents, the National Archives of Malta house the records of the Consolato del Mare di Malta within the premises of the Banca Giuratale in Mdina. This collection holds the first records of Malta’s own maritime tribunal and sheds light over more than 100 years of maritime laws that were effected between the late 17th century and the early 19th century. Consisting of a total of 473 items, the documentation of the Consolato del Mare di Malta is presently found in a stable condition. However it requires attention since present storage conditions do not guarantee its future preservation. While, highlighting the huge importance which this collection has to the better understanding of both local and international sea law, maritime historian, Dr Joan Abela, recently appealed for the preservation of this collection for posterity. Following this appeal, a group of individuals who are connected to the Maltese maritime industry, have joined forces in order to come up with an initiative to collect the required funds for this project. 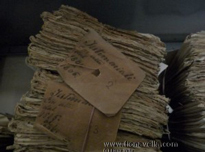 This initial work will involve the removal of acidic wrappers from the bundles of documents, cleaning of the bundles, the provision of new conservation grade covers and a condition assessment. Moreover, this collection will be stored in archival quality boxes that will serve for better protection and storage. The commercial court of the Consolato del Mare di Malta was established in 1697 and its main aim was to coordinate local maritime affairs and to tackle disputes and litigations in a more efficient way so as to facilitate trade. This arrangement was further enhanced by the appointment of experienced merchants in maritime trade in the positions of consuls for the tribunal of the Consolato. “During the period of the Order of St John, corsairing became one of the major commercial activities of our islands. However, by the end of the 17th century, the politico-economic atmosphere of Malta had evolved into stronger commercial enterprises, thereby lessening the importance of the corso,” explained maritime historian Dr Joan Abela. Till then, Maltese shipping had been administered by the Consolato del Mare laws of Messina and Barcelona. Yet this development created the requirement of a legal framework with which merchants and seafarers could be guided in their dealings with other traders and sellers. In order to cater for this demand, Grand Master Ramon Perellos y Roccaful entrusted Fra Gaspare Carneiro with the task of studying the set up of the Consolato del Mare of various countries and particularly those which were used in Messina, Barcellona and Valencia. Thereafter, Carneiro was expected to compile and formulate the regulations for a Maltese Consolato law. “From the documents that are held today, we can see that this maritime tribunal functioned for many years. In fact, this form of regulation continued to serve this sector until 1814; when the British eventually replaced it with the Corte di Commercio,” elaborated D’Anastas. Asked about the relevance of this collection today, all three agreed that the study of such documents could enable researchers to understand the evolution of our local commercial trade within the broader Mediterranean context. “Since law and custom were highly connected, such documentation could also reveal a number of local maritime customs. Furthermore, such a collection could divulge interesting details regarding the economic and social aspect of past societies, and how law and business functioned.” suggested Dr Abela. “Indeed this collection of the Consolato del Mare di Malta provides a snapshot of various business practices such as the chartering of vessels, the wages of sailors, contracts of commenda or trade agreements made by captains, sailors or merchants, cases involving insurance, freight and trade networks, navigation techniques and many more valuable information. Therefore, its relevance for research applies to different areas of study,” remarked D’Anastas. Once again, they all agreed about the benefit of preserving such documents which highlight how a particular system has succeeded to continue functioning and elaborating itself over such a long period of time. Sponsors who would like to donate funds for this venture are requested to contact jes@sullivanshipping.com.mt, bsultanasully@gmail.com, apmamo@gasanmamo.com, rpmiller@tugmalta.com, or call 2229 6165.